This is a 1983 (I think) promotional pamphlet that accompanied Coleco video games for the Atari 2600 console. Donkey Kong was just decent, but I loved Venture and the Smurf game: Rescue in Gargamel’s Castle. Never really cared for Zaxxon or Mouse Trap as games, and I never played the rest. Given how rudimentary Venture’s graphics were in the Coin-op version, it almost seemed like a flawless port to the 2600. As for Gargamel’s Castle, well, I’ve been an unrepentant Smurf fan since second or third grade. Zach Whalen brought this gem over along with a ton of video cartridge manuals and other “paratext,” as he described it. This stuff is like a waterfall of context nostalgia. Between the cartridge art, the player manuals, advertisements like the one above, and the actual cartridges and consoles—I really couldn’t be happier. My office has transformed into an early 80s video game showroom. I’ll be scanning and blogging as much of the cartridge art, manuals, and advertisements as I can as part of the Console Living Room exhibit. And you can be sure I’ll be flooding all the social mediaz with what I discover. From here on out, there will be some serious bava2600! This entry was posted in Console Living Room and tagged atari2600, Coleco, umwconsole. Bookmark the permalink. 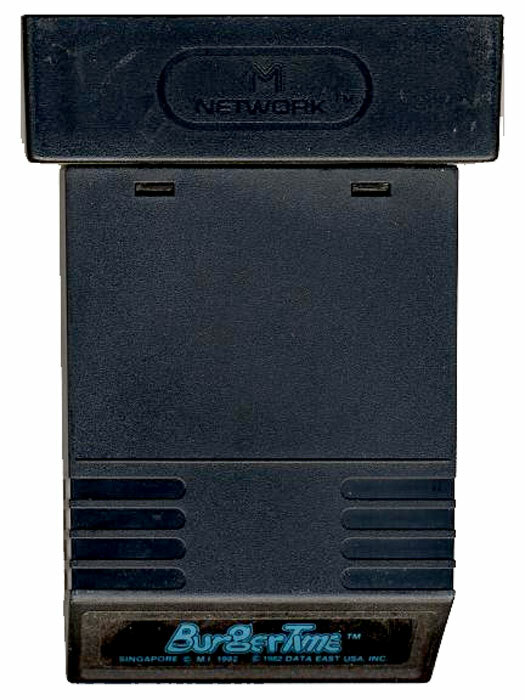 Spent many weekends at my buddy’s place playing his Coleco system – his Dad (the same guy who geared up the TVRO dish) was a gearhead and bought us the Expansion Module No.1 http://www.the-liberator.net/site-files/retro-games/hardware/ColecoVision/colecovision-expansion-moduel-no-1-atari-2600-adapter.htm allowing us to play all the 2600 cartridges. The system was a monster and even sported the Adam http://oldcomputers.net/adam.html … that high-speed tape drive was the business – you could copy games downloaded from a BBS by tape-to-tape dubbing! 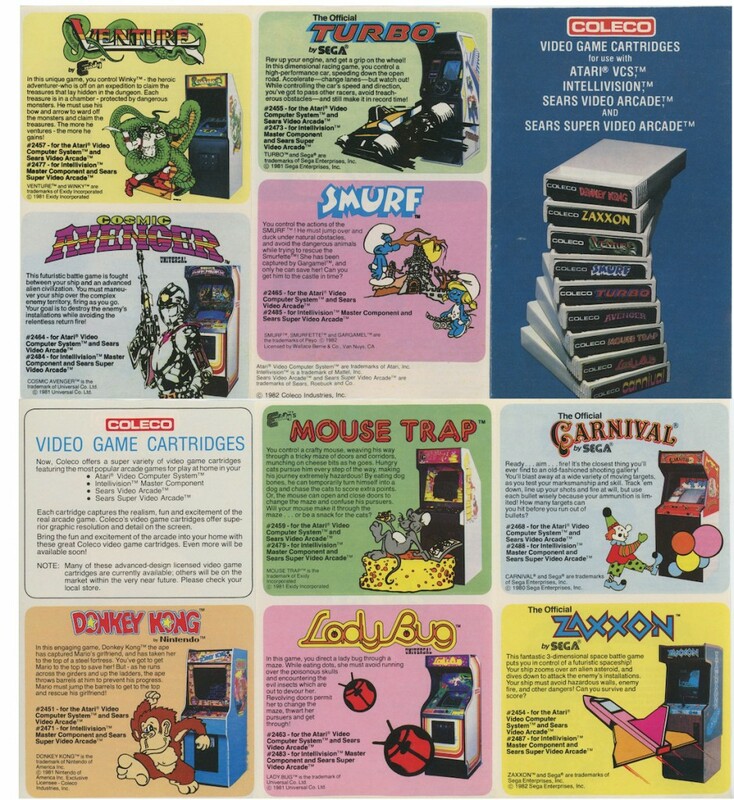 I played the Coleco system, and the graphics were probably the best of all of them—their Donkey Kong was amazing. I’d like to do an exhibit just about modded and expanded 1980s systems. That Adam setup seems totally sick. How would I get that off cleanly? Also, given the Adam’s timeline 1983-1985, it would be perfect for our exhibit. I’m realizing how many personal computers there were in the early 80s thanks to this exhibit. It has been a total blast. Feels like that ad ought to be a ds106 assignment.